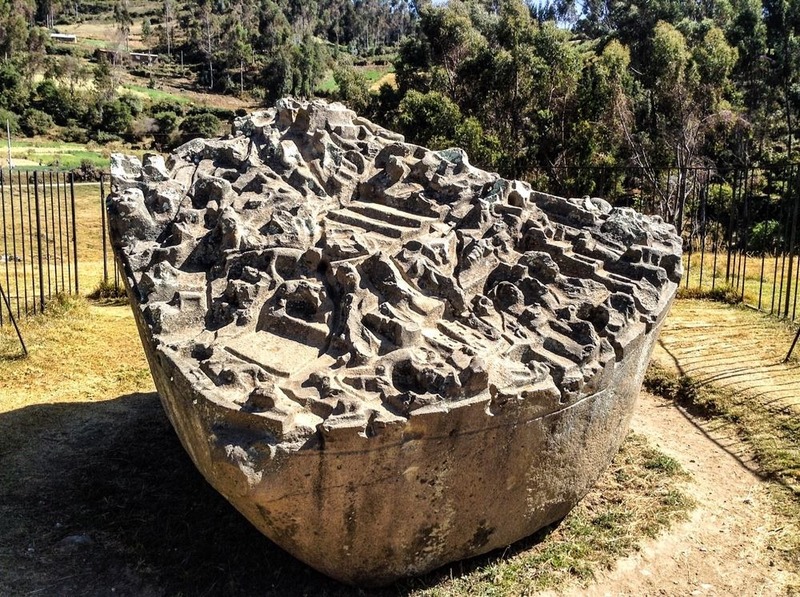 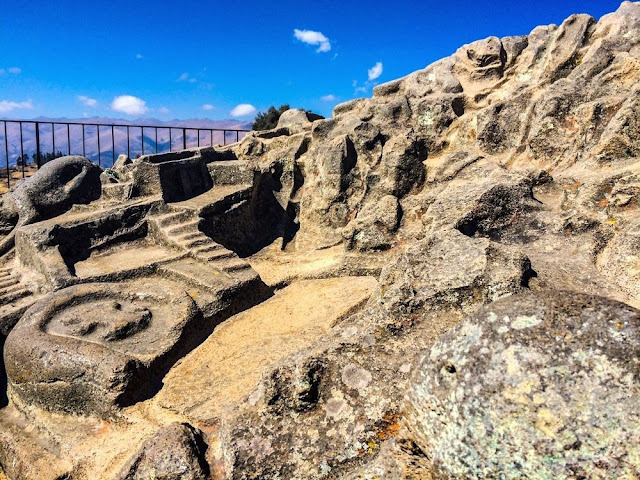 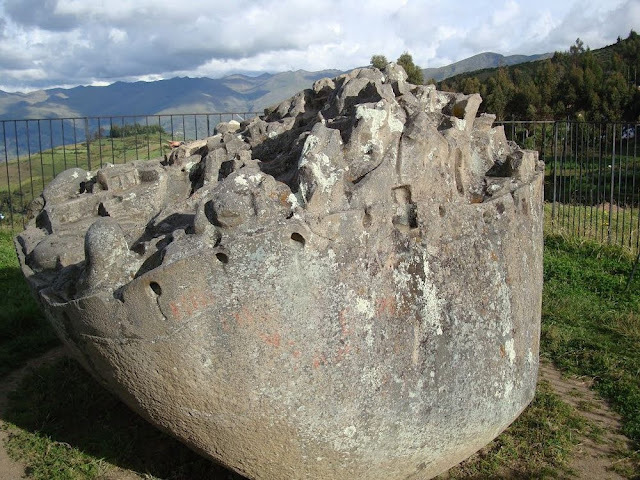 About 47 kilometers east of the city Abancay, in southern-central Peru, lies the archeological site of Sayhuite or Saywite, described by historians as a center of religious worship for Inca people, who held rituals and ceremonies for the worship of water. 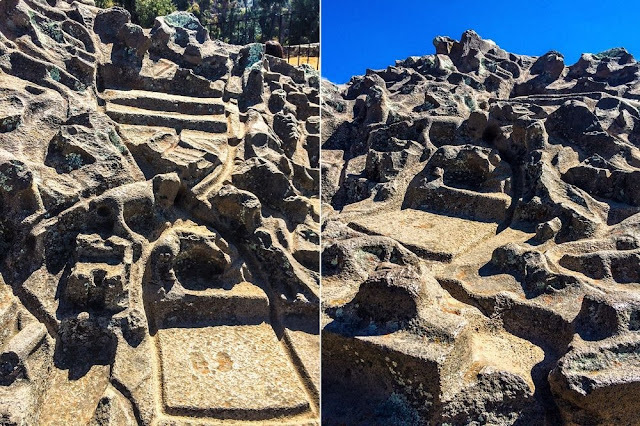 The site’s main attraction is a big granite block whose upper surface is ornamented with complex and mysterious figures resembling a three-dimensional relief map of an ancient city. 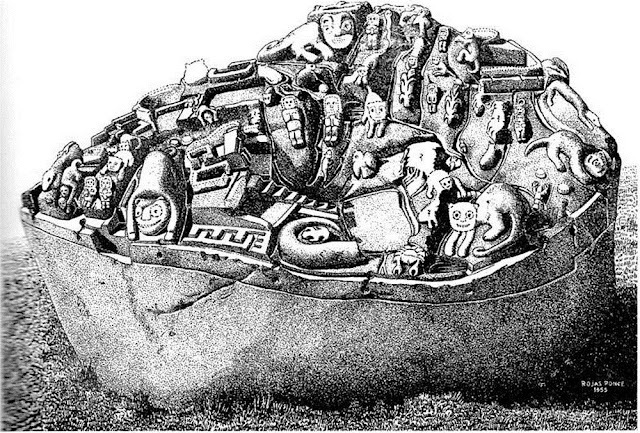 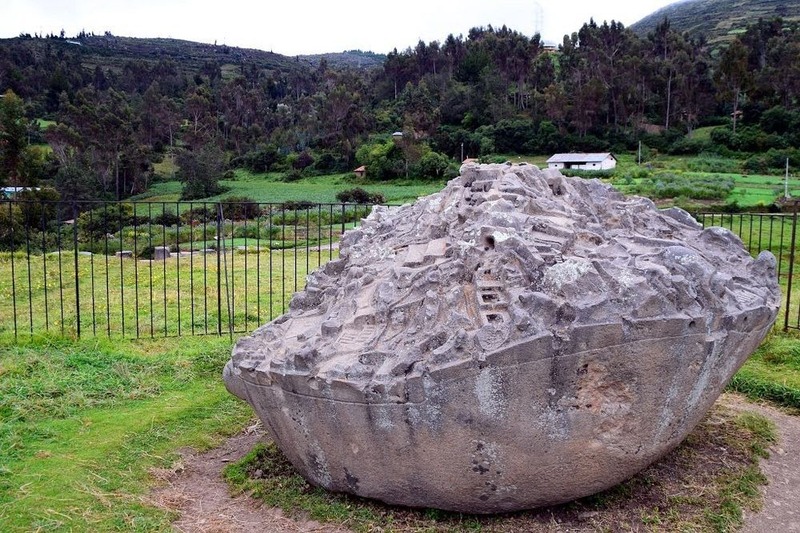 The Sayhuite Stone is about two meters long and four meters wide. 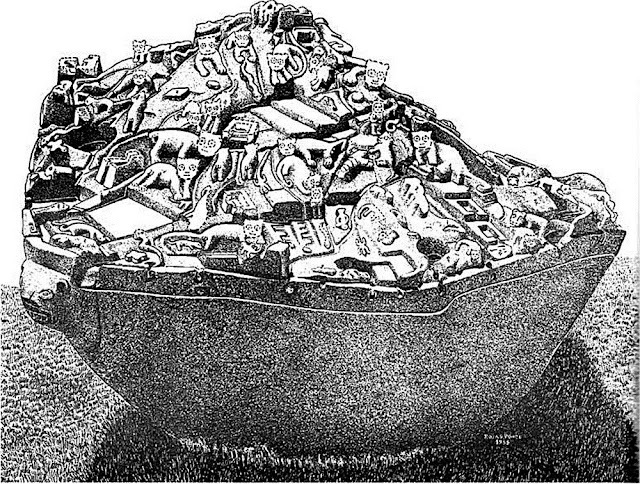 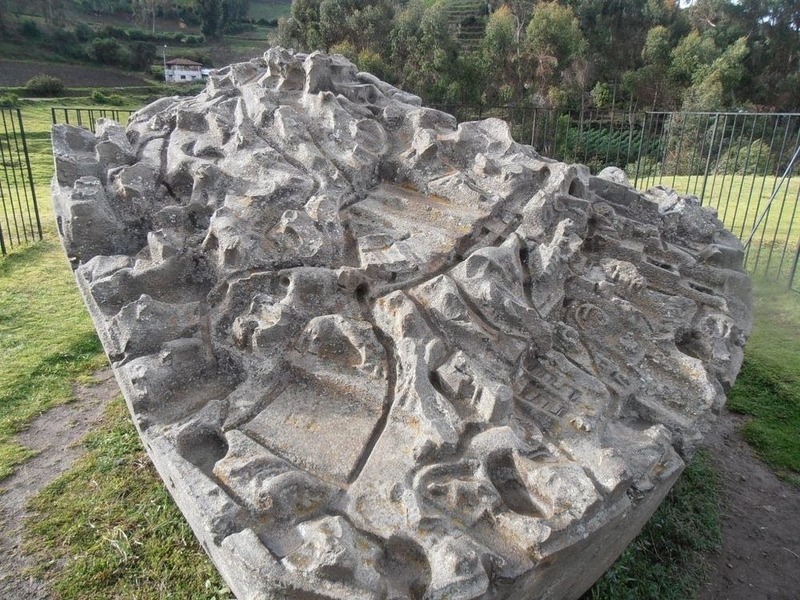 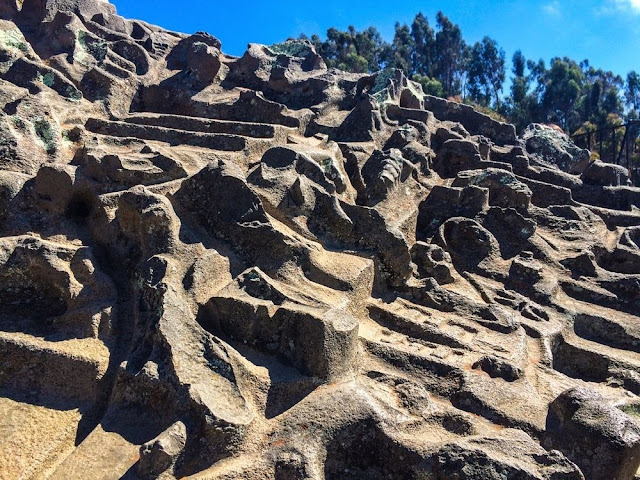 The rock is carved with more than two hundred figures of geometric and zoomorphic shapes, mostly felines, reptiles, frogs, and serpents, that are sculpted into the likeness of a topographical hydraulic model, complete with terraces, ponds, rivers, tunnels, and irrigation channels. 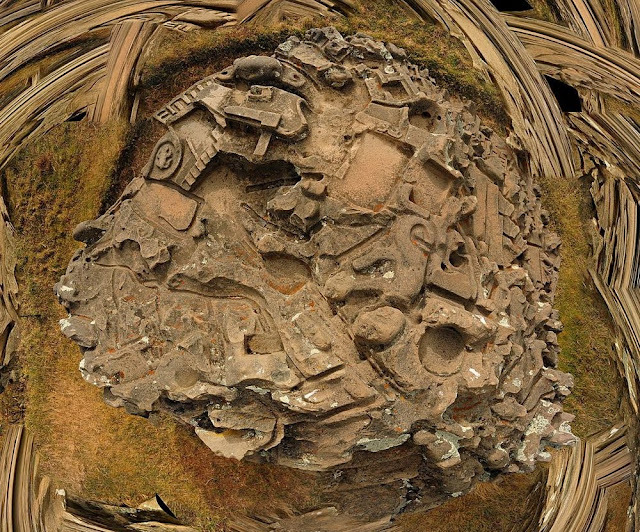 The relief map is on the upper surface of what appears to be the bottom half of a huge boulder. 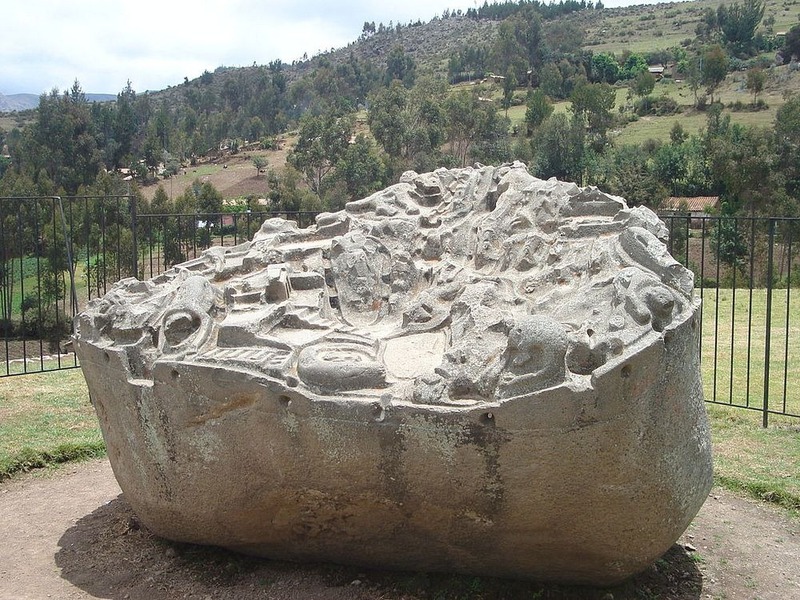 The rock is located on top of the hill called Concacha, where it is believed to have been transported since it is not a natural outcrop.